Boxers have known for a long time that the one-two combination is the most effective way to win fights. Using the same metaphor, how can enterprises use a combination of SMS use cases to effectively communicate with their customers? (i.e. win in the communication battle with their customers). Text messages have a 98 percent open rate and the majority of them are read in less than three minutes. This makes texting the most effective and far-reaching mode of communication by far. With the recent announcement of OpenMarket’s Global Partner Program, the one-two combination becomes a reality. What is a One-Two Combination? 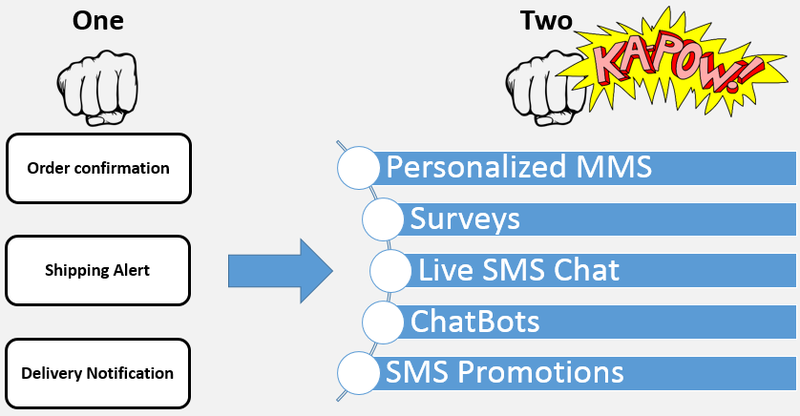 The “One-Two” is when you use a combination of SMS use cases to provide a complete customer experience. Let’s walk through a customer journey to illustrate the fabled combination. Let’s invent a fictitious eye wear company called Market Is Open (MIO). Your customer buys a pair of prescription glasses on your website. Great, an order confirmation SMS goes out. The glasses are made and about a week later, you send out a shipping alert that the product is on its way. This is goes a long way towards enhancing the customer experience. Well, order confirmation and shipping alerts are the “1” in the combination. The “2” in the combination is to add a personalized video when the customer receives the prescription glasses. Imagine how cool that experience is for the customer? The customer receives an MMS video that not only uses their name, but offers helpful hints on how to care for the brand new pair of glasses. Personalized MMS comes courtesy of OpenMarket’s new Partner – Vehicle. This truly provides a personal and differentiated experience. After the prescription glasses are received, MIO can opt to send out a quick survey to gauge customer satisfaction. 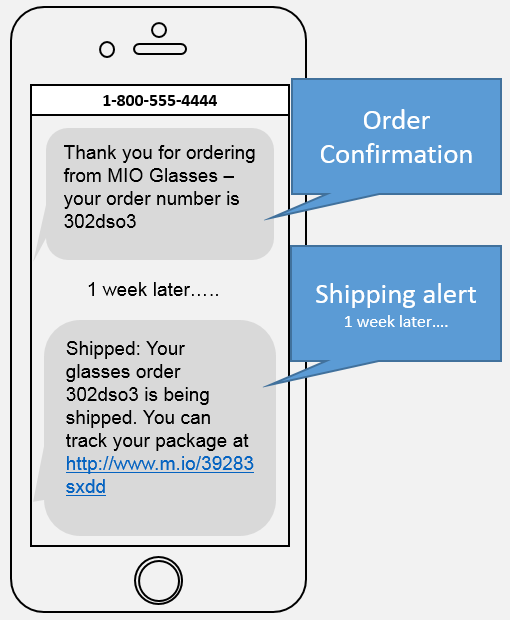 MIO Eyewear can inform the customer that Live SMS customer service chat is available for any help with any issues. The summer rolls around and MIO Eye Wear can offer a deep discount on prescription sunglasses. All of this is possible thanks to OpenMarket’s Mobile Engagement Platform and pre-integrated solutions from our Partner Program. At OpenMarket, we provide one of the industry’s leading global SMS solutions and support more than 200 countries using one-way SMS and 81 countries using two-way messaging. When you work with us, not only do you get access to comprehensive coverage, but you also get the benefit of an enterprise-grade network that’s highly secure and geographically savvy. Please contact us for more information. We’d be happy to discuss our global SMS solutions in more detail.